On a hot hot hot morning in early May, as much as I am pleased to see the Sun, today it became my curse. To think 2 years ago I was wearing a base layer fleece top and today I could wear a bikini! Any of you that know me and followed facebook updates I have trained the sections in between the ACP 100k. I felt ready, confident despite and knowing the women field was stacked up with potentials that maybe on my heels. Temperatures at 10am pushing on 25 degrees hotter than anticipated and expected so I knew fluid was key! Sadly also being a woman the one thing we always fear is to have a monthly menstrual cycle appear. This indeed happened on the morning of this race… arggh ! I wasn’t to be deterred, I set off with the front runners at a brisk pace to avoid the bottleneck and to get into a race either, well not for 100 miles. The pace once reviewing after 5/6 miles was way too fast and new my crew would kill me if they saw the watch so I stepped off a touch and ran with a couple of guys from the second group because I had been informed that they were running 7.30’s which although I can run just didn’t fancy it for 100 miles. To get my target of 15.15/20 needed to run an overall average of 9 min miles. 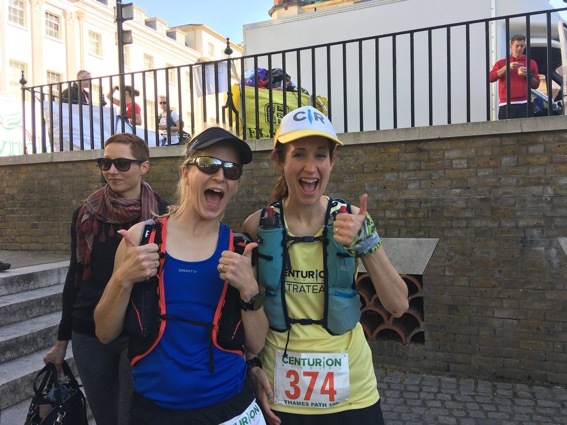 I knew in the dark I would slow and miles in the tank so I pushed on the quicker pace to where I met my crew Jo, Norman & Anne but at 22 miles I started getting the gut/bowel issues and spent a long time in the toilet/aid station. 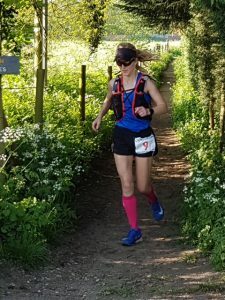 I was hoping it would pass.. the guys I ran with were happy to come along and also felt reassured I knew the route so we plugged on to the next aid station the other side of Windsor ( felt like a million miles). 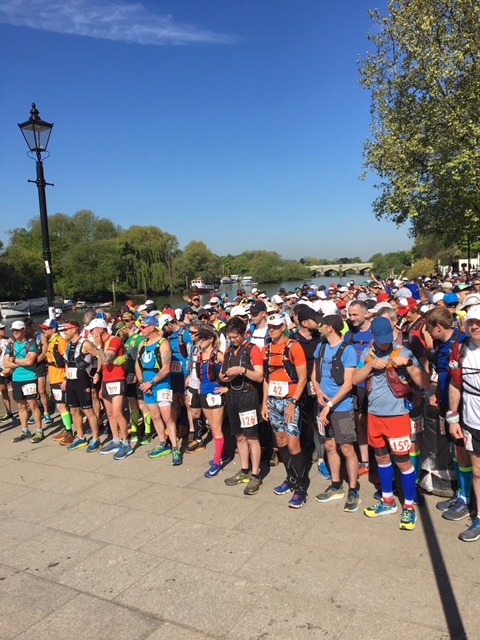 It was getting hotter, very little shade and harder to pick up the feet by the time I had gone through Cookham ( crew came to see me) and then saw my sister in law in Marlow ( a very grateful runner received an ice lolly). 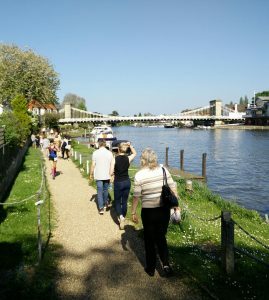 I had a terrible block of running through Hurley where my bag was rubbing and felt so heavy and a lot of walking/slow running through the area until making my way back onto the Thames path section towards Henley. Along with this path where the Rowing is taking place in just over a months time they had the metal boards in the water which also helped in the burning process and the ground felt so hard/dry to run on. Relieved to see my Crew again and pick up the first runner that could keep me company from 51 miles. Sadly this was shortly lived for Sam ( male) which I feel sad about. With a belly full of fluid, way more than I would take on, numerous toilet stops I knew I had to pick myself up through Shiplake area and Sonning. Knowing I felt this way with a cloudy head, tired, drained and gut issues it was going to be a ” BIG” ask to expect my body to get through the next tougher sections and then darkness. What was most upsetting was the sun ruined lots of runners races, relentless and still well into the evening still too warm. Having properly planned with sun cream, sunglasses and cap and appropriate wear feel gutted! I need to move on and reflect and this time the weather beat me! Grateful regardless to have lots of support of my fabulous crew and meet people along the way. I will be back to defend my course record and not finish at Reading aid station.